John Joseph "Jack" Nicholson (born April 22, 1937) is an American actor, film director, producer, and writer. 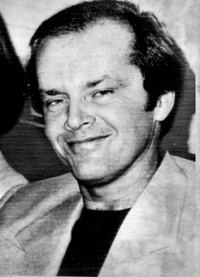 Throughout his career, Jack Nicholson has portrayed unique and challenging roles; many of which include dark portrayals of neurotic and/or psychopathic characters. Nicholson's twelve Oscar nominations make him the most nominated male actor. This webpage uses material from the Wikipedia article "Jack_Nicholson" and is licensed under the GNU Free Documentation License. Reality TV World is not responsible for any errors or omissions the Wikipedia article may contain.